Thomas Swan has been an avid fan of the English Premier League and European football for more than 20 years. This article will showcase the best player from each of the 16 countries represented at the 2012 European football championships. Like all major international football tournaments, Euro 2012 elevated a number of previously unknown players to global stardom. Picking the best player from each country was a difficult task. For some countries, a well known professional stood head and shoulders above his teammates. For others, one particular player emerged from obscurity to shock the football world. Some countries like Spain and Germany had so many star players that picking one became an agonising endeavor. The final selection considered three factors: consistency of performance, the surprise surrounding this performance, and the player's importance to the team. The selector watched each Euro 2012 match, and has been a fan of the beautiful game for over 20 years. Despite Andres Iniesta winning the official player of the tournament award, the accolade deservedly goes to Andrea Pirlo. His mazy run and assist for Antonio Di Natale gave Italy a lead in their opening match against Spain. In the second group game he scored a precise free kick against Croatia, and in the final game against Ireland his corner was converted by an Antonio Cassano header. His exemplary performances in the knockout phase guided Italy all the way to the final. He is praised for dominating the English and German midfields, but was contained in the final against Spain. 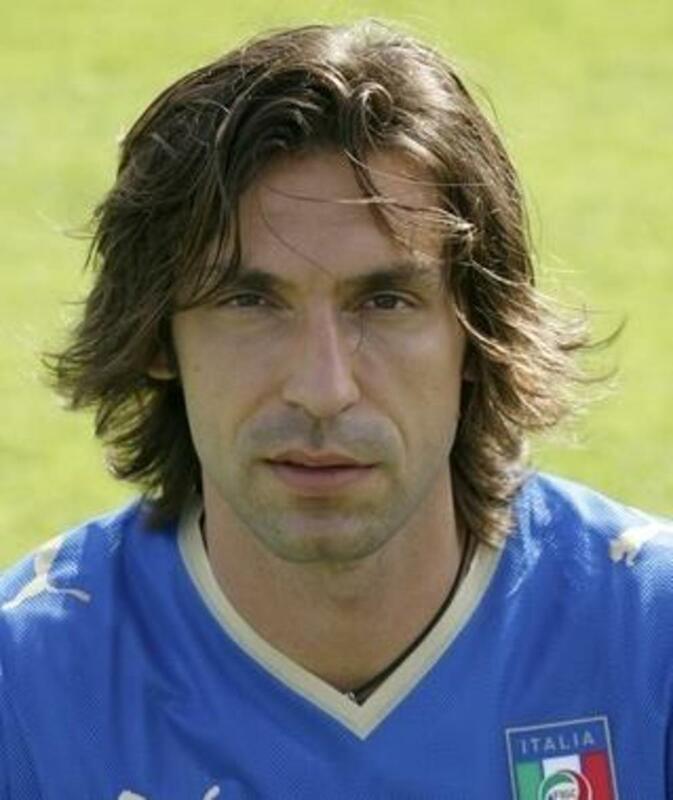 Had Pirlo been deployed in a more attacking role, his influence may have inspired them to a better result. There were many Spanish players that impressed at Euro 2012; Jordi Alba, Xavi, Andres Iniesta, David Silva and Cesc Fabregas in particular. All of these players were not as consistent, or did not get enough minutes on the pitch to top the overall performance of Xabi Alonso. Despite his lack of assists, he provided a crucial variety to Spain's attacking play, with an extensive range of cross-field passes and an ability to break into the box at opportune moments. His defensive display was equally impressive, leaving Pique and Ramos with very little to do. More than Xavi or Iniesta, he was the most influential player in the Spanish side. His two goals came against France, one being a far post header, and the other a penalty. 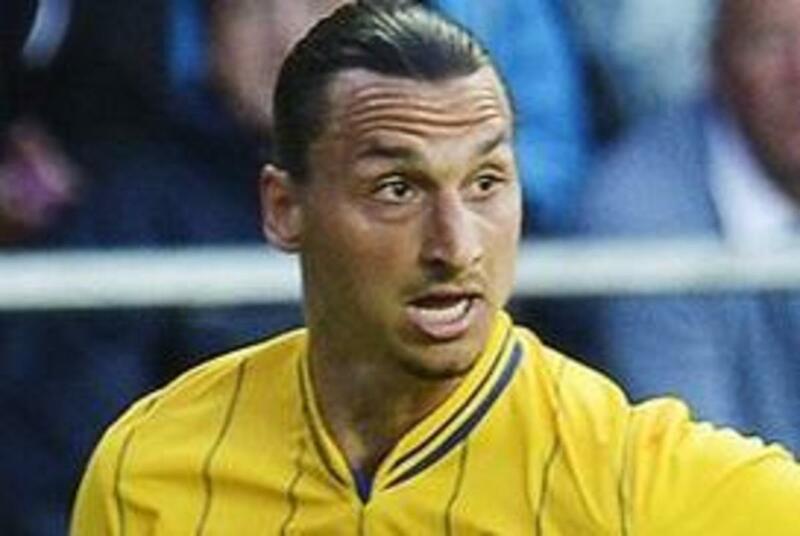 Against Ukraine, Zlatan Ibrahimovich demonstrated quick reactions to score a well-directed tap in goal. He also hit the post in this game, and played a wonderful looped pass to Elmander (which deserved a better finish). He got the assist for Mellberg’s 1st goal against England, before scoring one of the goals of the tournament against France with a mid-air volley. This goal can be seen in the video below. Against France, Ibrahimovich demonstrated further passing brilliance with a fantastic chipped pass for Christian Wilhelmsson. With better team-mates he would have had many more goals and assists, and would have gotten much further in the tournament. Nevertheless, his technical brilliance was on par with Pirlo and the Spanish team. There were many Portuguese players that stood out from the pack. In particular, the Real Madrid contingent of Ronaldo, Pepe and Coentrao. However, Ronaldo missed a lot of easy chances, Coentrao was inconsistent, and Pepe was one-dimensional. The most influential of all the Portuguese players was the surprisingly good Joao Moutinho. His passing range and ability shocked many fans into becoming huge admirers. Defensively and offensively, he gelled the Portuguese team into a cohesive unit and guided them to the semi finals. He provided the assist for Pepe’s goal against Denmark, and his great run and crossed assist for Ronaldo provided the winning goal against the Czech Republic. He was also massively impressive in their 0-0 semi-final against Spain. 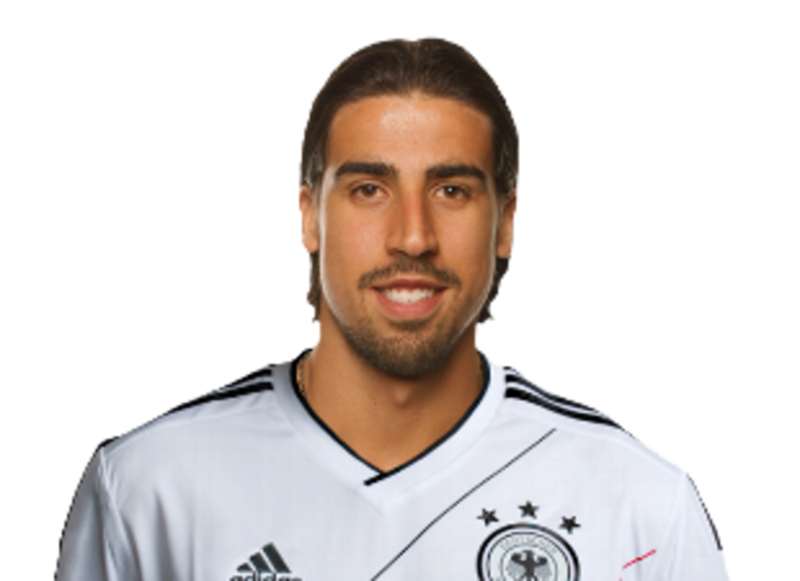 In Germany's first match of the tournament Sami Khedira provided the crucial cross for Mario Gomez's goal in their 1-0 win over Portugal. Against Denmark his creative passing, including an exquisite through-ball for Andre Schurrle, led to numerous chances. One of his driving runs ended in Lars Bender's winning goal against Denmark. Khedira then scored one of the goals of the tournament against Greece with a thumping volleyed strike. Throughout Euro 2012 he consistently outperformed fellow midfielder Bastian Schweinsteiger, and in their semi final against Italy, he was Germany’s best player by some margin. Mario Mandzukic's excellent finishing ability surprised everyone during the tournament, and it earned him a transfer to Bayern Munich. He scored two long-range headed goals against Ireland in Croatia's first Euro 2012 match. He also stunned Italy with the equalising goal in their 1-1 draw. Against Spain he made some great bursts down the right flank, and was unlucky not to be awarded a penalty when Sergio Ramos rashly fouled him. 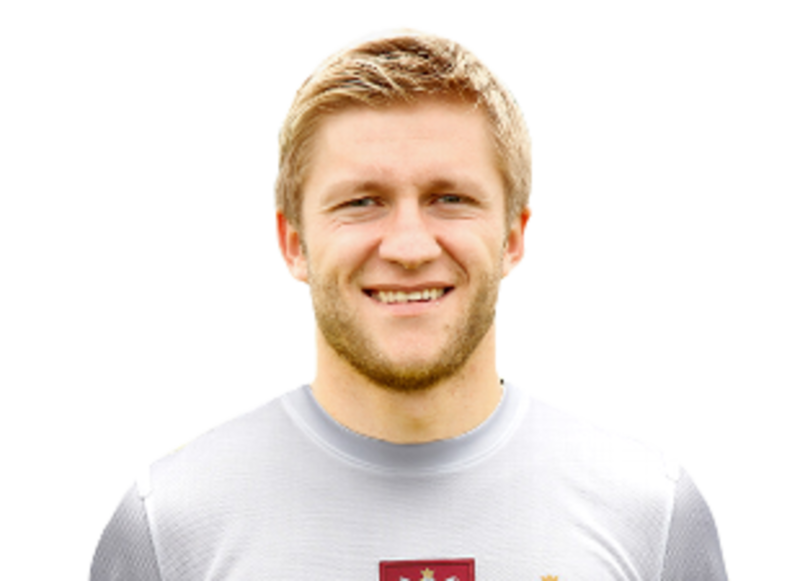 Poland only scored 2 goals in Euro 2012, and Jakub Blaszczykowski played a crucial part in both. His cross for their goal against Greece was inch perfect, landing the ball onto Robert Lewandowski's head from some distance. Poland's other goal was all his, and it was one of the goals of the tournament. He finished off a quick counter-attack by cutting inside and firing a precise shot into the far top corner of the Russian net (see video). Affectionately known as Kuba, Blaszczykowski's performance at Euro 2012 earned him a new contract with his club Borussia Dortmund. He has contributed greatly to their recent success in Germany and in the UEFA Champions League. Dortmund ousted Bayern Munich to win the Bundesliga in 2011 and 2012. Petr Jiracek surprised many people who had never heard of him. His powerful runs from midfield and excellent dribbling ability made him the most exciting player in the Czech team. He combined this ability with an end product on two occasions. His quick goal against Greece forced the Greeks to abandon their defensive approach. Against Poland he picked up the ball in the penalty area and produced a lovely dummy and finish, giving them a 1-0 win, which eliminated the Poles. Russia thrashed the Czech Republic in their opening game, and Alan Dzagoev was the star man, grabbing two goals. Against Poland he scored a glancing header from an Andrei Arshavin free-kick. As a previous unknown, Dzagoev's finishing ability sparked attention from several big European clubs, including Arsenal, making him one of the most surprising stars of Euro 2012. 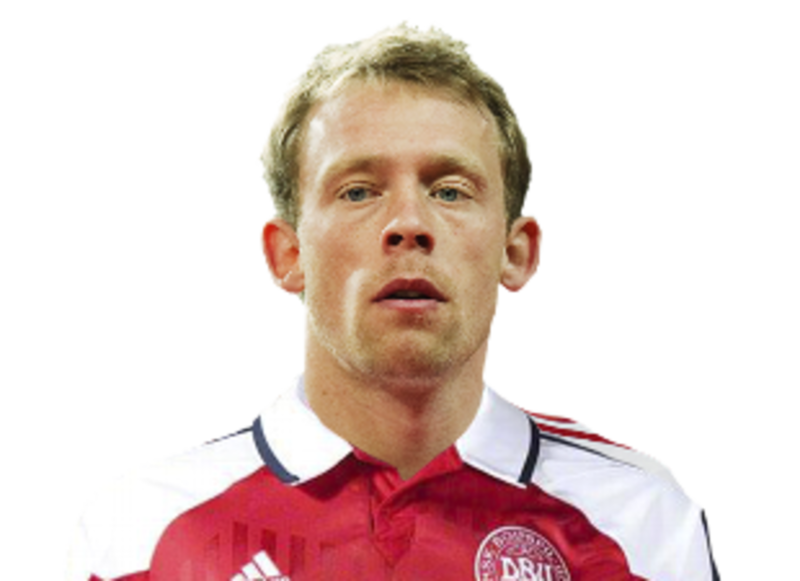 Michael Krohn-Dehli became an instant star of Euro 2012 when he struck the winning goal in Denmark's 1-0 defeat of the Netherlands. His brilliant run into the penalty area was finished with a powerful and precise shot through the legs of the Dutch keeper. He provided the assist for one of Nicklas Bendtner's goals against Portugal, and he scored against Germany with a header after taking up an excellent position in the penalty area. Dimitris Salpingidis surprised his own manager in their opening game against Poland. Starting as a sub, he came on and scored their equalising goal against the Poles before winning them a penalty. He made a great run and provided the perfect crossed assist for Samaras's goal against Germany in the quarter finals. He then tucked away Greece's penalty in the same match. He demonstrated clever movement in all his appearances at Euro 2012. 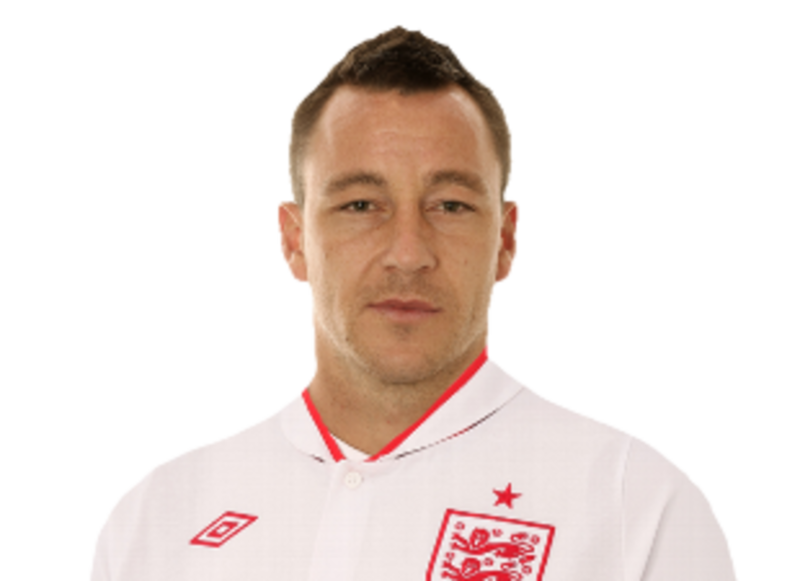 England's most consistent performer was John Terry. 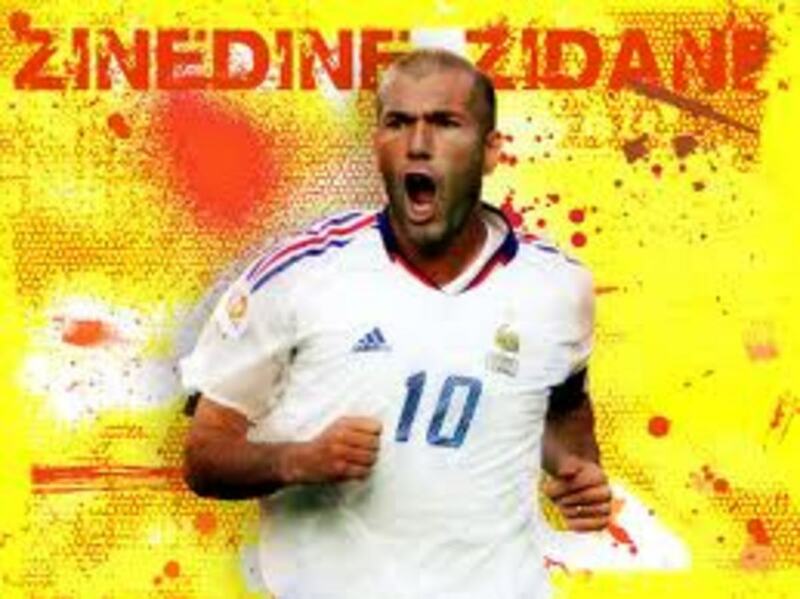 He produced a solid performance against France, keeping Benzema and Ribery quiet. Surprisingly, in this match he ended up with more passes than Steven Gerrard, demonstrating his influence in the team. Against Sweden he didn't make any mistakes, and both of Sweden’s goals came from Joleon Lescott’s defensive area. He almost scored against Sweden with a header, and against Ukraine, he cleared their disallowed goal off the line. He produced a fantastic defensive display to prevent Italy from scoring in England's 0-0 defeat on penalties in the quarter finals. 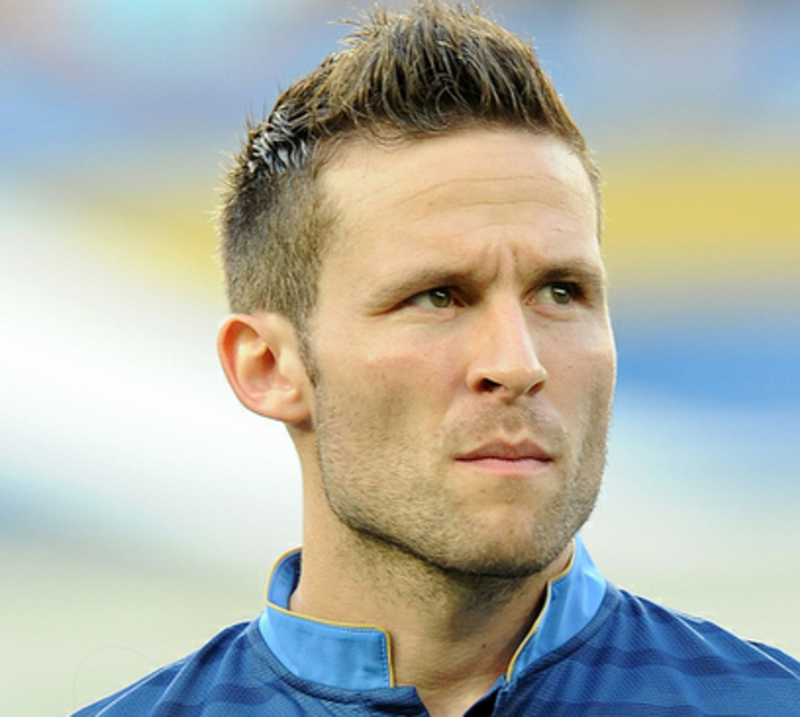 Yohan Cabaye is a rising star who further enhanced his reputation at Euro 2012. He scored a classy strike into the far corner of the goal against Ukraine, and also hit the post with a powerful drive from outside the box in the same match. Against Spain he produced France's one moment of quality with his brilliant free-kick effort. His passing ability was exemplary throughout, and he gelled the French team together in a way that was lacking at previous tournaments. 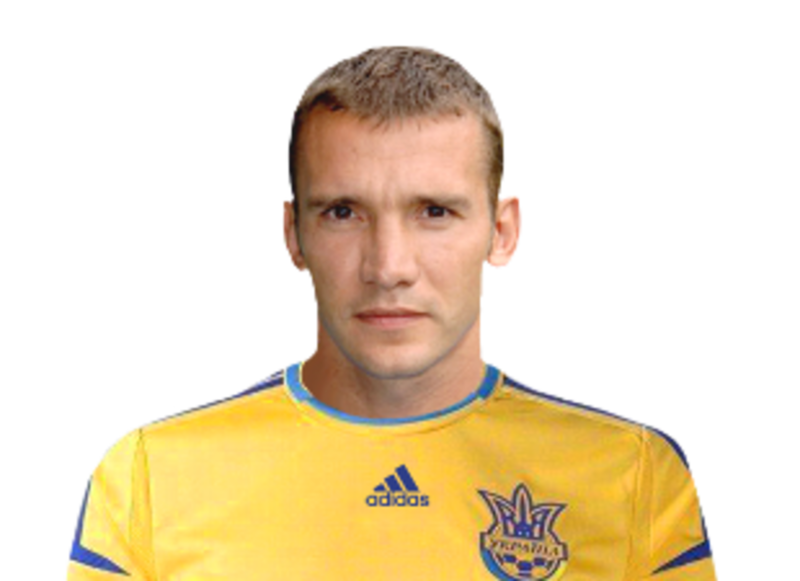 Andriy Shevchenko bowed out of international football with his head held high. The veteran scored Ukraine's only two goals of the tournament. Both were near-post headed goals against Sweden, which saw them come from behind to win the game. Against France he produced a brilliant cushioned header to control a long ball, and set up a chance that forced a good save from Hugo Lloris. 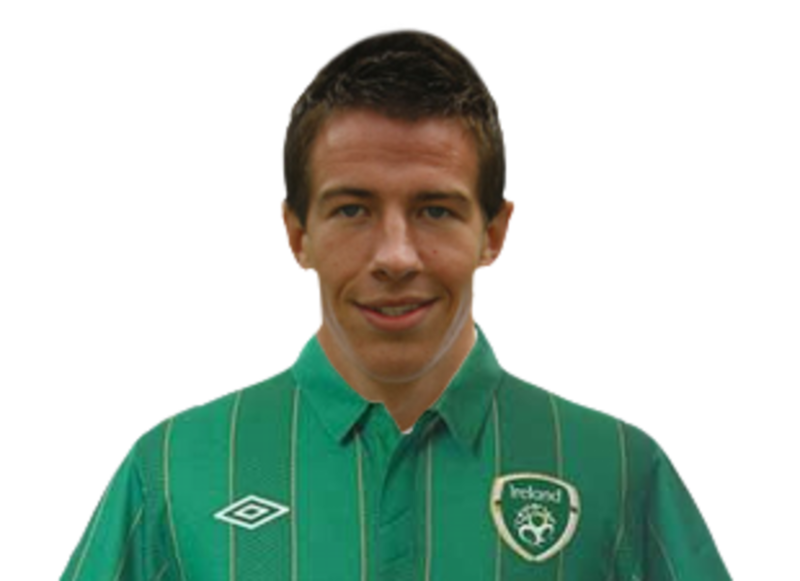 Sean St Ledger scored Ireland’s only goal of the tournament against Croatia with a simple headed finish from a free-kick. Even though Ireland conceded a lot of goals, he showed some excellent defending ability that kept Spain and Italy's scoring down. This included brave and crucial blocks against both Spain and Italy, and a clearance off the line against Italy. 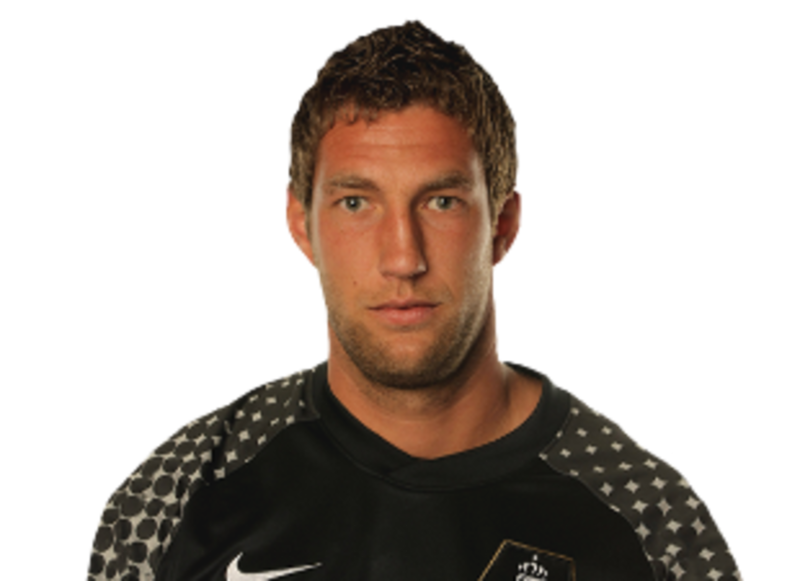 Despite being beaten with a shot through his legs against Denmark, and going down rather early when Gomez scored for Germany, Stekelenburg pulled off some incredible saves in Euro 2012. In particular his close range stops from Portugal's Nani, and Germany's Holger Badstuber. He was the Netherlands best player, but this isn't saying much. The defense was woeful, the midfield under-performed, and Robin Van Persie missed too many easy chances. 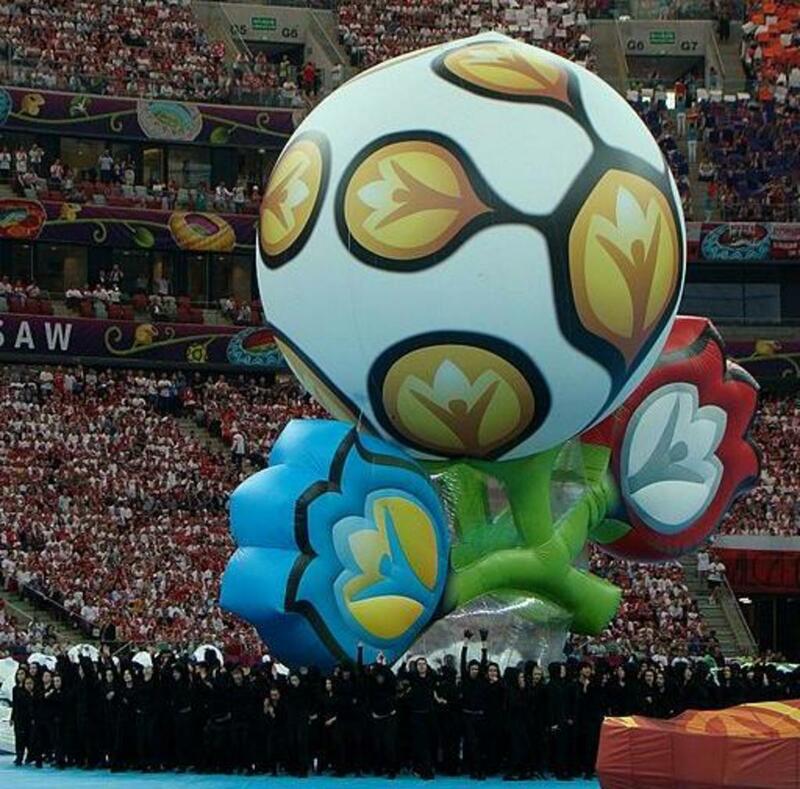 Every international football tournament is an opportunity for players to showcase their skills to a wider audience. Many players that were complete unknowns rose to become the stars of Euro 2012. These exceptional talents will no doubt follow Mario Mandzukic into bigger and better clubs as a result of their exploits on the international stage. Thankyou for reading this compilation showcasing the best players from Euro 2012! A summary of how each team performed in Euro 2012. It is funny about Torres I was watching the under 21's and 19's mens and Spain better be careful. Youth players are learning the simple truth. Big players need to learn how to hold possession better. One of the french youth reminded me of Drogba and Balotelli. Being stronger and outmuscling the spaniards in the back is key to beating the Spanish. And, too many young spaniards are small especially in the back. Thanks Richard for the Milan and Juve analysis. I would be interested to read a hub on Serie A 2012/13 if you did that. I think hubs summarising the big leagues around the world for next season would do well. I agree, he may well have started Torres against Germany. Germany play much wider at the back. Boateng and Lahm practically hug the touchline. There would be more space through the middle for Torres to operate, and the German central defenders showed weakness in many of their games. 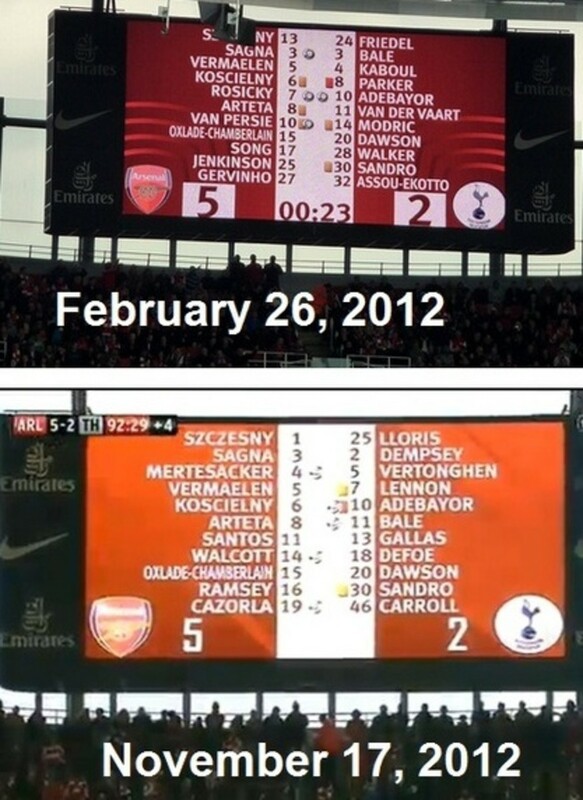 Even Bendtner played well against them. Well, I think Del Bosque chose best in that he predicted Prandelli would play his 4-3-1-2 again, and Del Bosque set up his team to beat it. In setting up his team like that, he outwitted Prandelli in my opinion. I will say Cassano isn't small anymore. BEing at Milan has been great for him. a lot of "bad boys" at Milan and it has been great for him. People in the media always talk about how players are bad and etc. but I find putting them together tends to cool a lot of them down. PRince-Boateng, Robinho, Zlatan, Cassano, and others all known for their antics in the past. If you watched Serie A more and you will see Chiellini play for Juve. He doesn't care what he does as long as Juventus win. Chiellini was a big reason why they won last season. some games he would be the only one really pushing but would drive the team. Exactly, Del Bosque chose his best strategy, against the most dangerous side. I think he may have started Torres if Germany would have won. But Prandelli should have done the same, regardless of any issues. PRandelli showed his greatest weakness is that he thinks too much as a coach. Sometimes you got to go out there with what works with what you have and just hope for the best. I think Del Bosque simply chose the best, not outwitted, just chose the best form for the team which every coach should do, and Prandelli didn't do that. If you call it outwitting fine, but I see it as a problem of "faith". Keep it simple, don't out think yourself. Thanks Mandarmko. Yes, the inspiration for this Stars of Euro 2012 article was all the unknown talents that emerged for each of the countries. Each country seemed to have one surprise player, like Jiracek, Mandzukic or Dzagoev. So that's why I went with this approach. Richard, I think it's hard to judge Italy's fitness problems in the final. Some players may have felt a lack of motivation. Cheillini may have gotten fed up with playing left-back, Cassano may have not liked Balotelli getting all the attention and being the star striker, Motta would have hated starting on the bench. This affects how people approach the game, and how hard they work. Even if some players lacked fitness, knowing the extent of it is pretty much impossible based on their performance. Even the coaches have a hard time, and they analyse everything at pitch-side, and have seen the pre-match training. You're right, Del Bosque didn't have a choice. In my tactical analysis of the final I didn't mention this because you've only just now brought it to my attention, but when Italy played Germany, Italy's narrow 4-3-1-2 marked Gomez and Klose out of the game. So Del Bosque playing without a striker is just another way in which he completely predicted and outwitted Prandelli's approach to this game. He predicted Prandelli would play the same setup as he did versus Germany, and he set up his team to beat it.... and beat it they did. ah thank you, yes werder bremen. Many clubs have an excellent football philosophy. The key difference with Barca in comparison to Bremen and Arsenal is that Barca keeps its top players. We agree on prandelli's fitness error. I agree with your changes. He could have tried that for me too, though I wonder the true fitness issues of ITaly in retrospect. Del Bosque didn't have a choice for me. The Irish are not the Italian. Even with the fitness error and the incorrect form, Italy were defensively better than IReland. And, more importantly, Silva doesn't get the header opportunity if Torres is there. If Torres is center, when Fabregas pulls wide, Silva's late run from the center has to go wider than he did, and thus he does not score and I personally don't trust Torres to get the header being marked. Second, the second goal wouldn't have happened either. BArzagli automatically marks Alba with his long run. 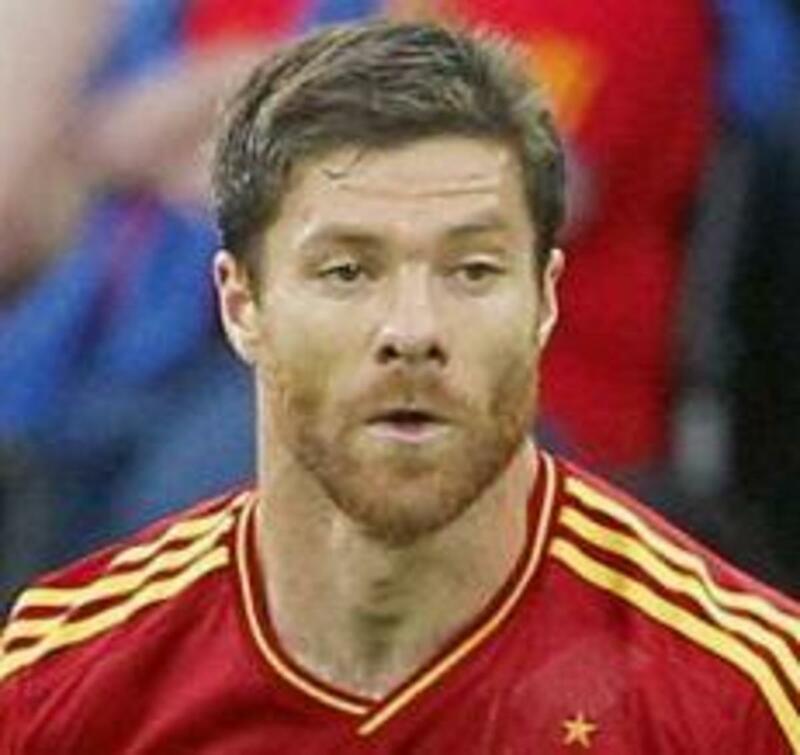 It was the absence of a center forward that opened the space for Spain's two goals. It was an only choice tactically but you are right, the media pressure was large. Thanks Richard, I think Ozil played at Werder Bremen, another good development club. 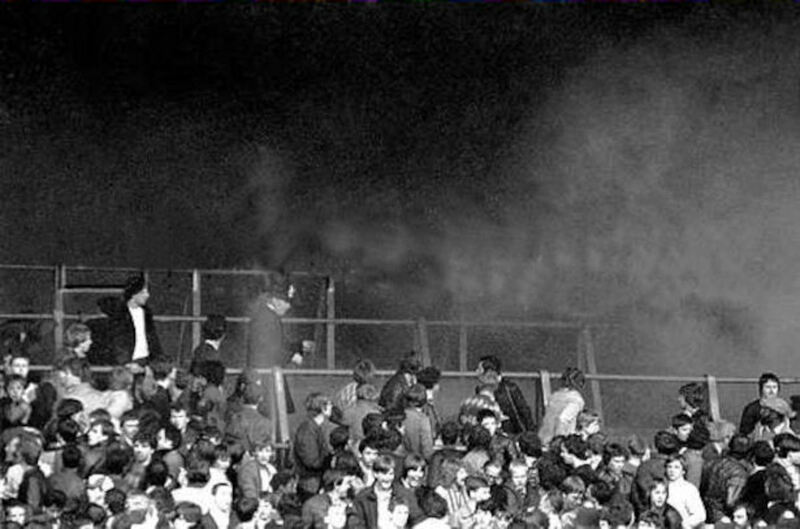 I remember watching a snippet about Bremen in the build up to a Champions League game. They have an excellent football philosophy similar to Barca and Arsenal. It seems they churn out the talent! Prandelli got it wrong about fitness anyway. Cheillini starting was a mistake, Motta coming on obviously was too. Cassano probably shouldn't have started either. If those players needed to be dropped, he shouldn't have felt compelled to play the same 4-3-1-2 again. I understand Motta would have been good in the 352, but I'm sure De Rossi could have been moved into midfield - giving De Rossi, Marchisio, and Pirlo as the central players. I don't think Del Bosque had to play 4-6 because Torres demonstrated he was in OK form against the Irish. He had a choice and he made the right one. With all the debate going on in the media, I don't think it was an easy choice to make. Thanks Mandarmk9, I have picked who I think was the best player from each country represented at Euro 2012. It was tough finding anyone worthy of a mention from Ireland and Netherlands, but Stekelenburg and St Ledger did ok for the reasons described. Thanks for picking out the goal tally thing. Spain's forward plays are all based on passes within the 6, a quick put back into the 6 by the 4 on counterattack and runs by players in the 6 into spacein front of the backline. that is why I don't comprehend the back 4 against Spain. The larger the backline the more space Spain have to come in. Make it shorter , like a 3 and you clog the center and give Spain the wings. But, Spain aren't long crossers of the ball or good at headers. That isn't there game. Most defenders are used to some forward players which define how midfielders come in. Without forwards midfielders can come in from anywhere. Thus the offensive point of the 46. So take the space. They did seem a little confused who to mark, when Alba made a run through the centre, they didn't dare follow him cos they were too busy worrying about sticking with their forward player. Didn't one of my favorite players Ozil, spend time at Wolfsburg? Good development club. Well, all leagues in UEFA are feeders for the EPL. But, many leagues in CONMEBOL are feeder for La Liga and in CAF for Ligue 1. 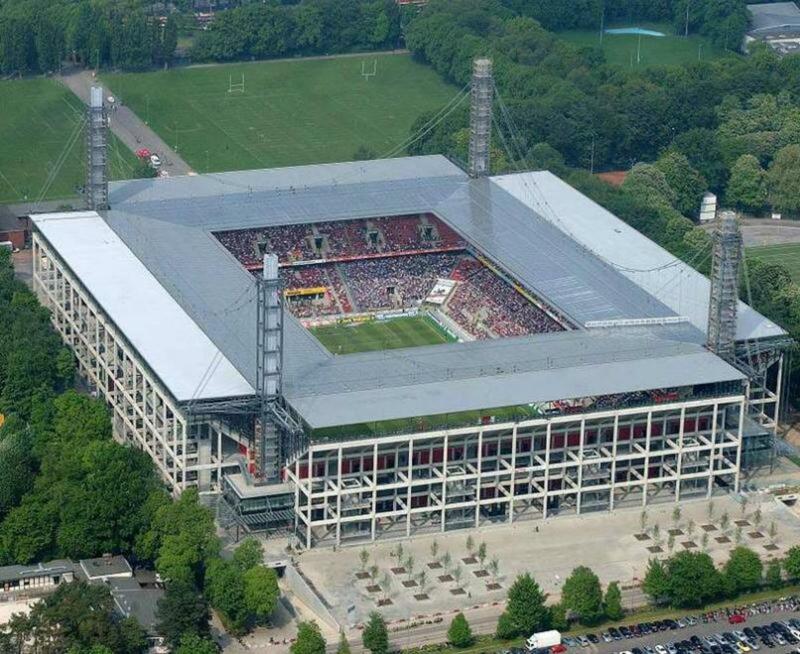 Germany do a lot of Eastern European leagues. It is to be expected. It is a pyramid. I don't see Prandelli's failure as poor, we are in disagreement.Prandelli chose incorrectly but not poorly. Italy had chances during the final, good chances. any of them go in and the storyline is changed. I think a 352 would have been better but PRandelli was correctly worried about fitness issues, which still killed Italy. Del Bosque in my view didn't gamble with the 46. He has to use it. The 46 allows for the deep runs. Fabregas run on chiellini with silva's late run and then xavi's ball to Alba's early run was all because Spain didn't have a constant forward presence, thus the backline of Italy which was a 4 had a harder time maintaining shape. This is why I feel the 352 works so well against Spain. With the 352, the backline is shorter and tight and forces play wide. as the midfield 5 on top blockade the middle. But, Prandelli didn't feel Motta could play and he would be needed for the 352. Unfortunately, Motta proved it right but I think Italy was about to play the 352 and were on a stride when the fitness bug hit Motta. Thanks James. Yes, ESPN had the stats, but I knew what they were from re-watching all the highlights from the matches. In fact ESPN made a mistake by saying Zlatan had no assists, because he got the assist for Mellberg's first goal against England. CCahill, yep Bayern snapped him up pretty quickly. It's a risky move IMO though. They must have felt they got a good price, and they must have been monitoring him for a while. Really good. Great touch with all the individual stats shown. Voted up and shared on Twitter. Linked it to a similar one i've done about the best players. Yea, it will certainly be interesting to see how Mandzukic does at Bayern next season. With Mario Gomez at the club, I wonder how many appearances he'll make as a striker. He can also play as a winger, so his versatility should ensure he gets games. He'll probably start on the bench with a full team though. Thanks for the comment Richard! Jiracek plays in the Bundesliga with Wolfsburg - which I believe was where Mandzukic played and also where Dzeko made his name. They seem to be a really good club for developing players. The German league is exciting at the moment with Dortmund. Unfortunately, with the exception of Bayern, it still seems to be a feeder league for the EPL, La Liga, Serie A.
I saw Prandelli's failure in the final as quite poor really. Del Bosque took a gamble with the 4-6 and it paid off. He also outwitted Prandelli in the final in my opinion. Then again, with those Spanish players, he had a much easier job. The Portuguese manager, Paulo Bento, deserves some credit too. Spain isn't balanced, but it was probably the right choice. When a good striker emerges, or gets back from injury/bad form, they'll probably play a more balanced line up. It would have been nice to see Italy play better tactics against Spain in the final. The manager failed them, so I don't think we saw a proper Italy in the final. 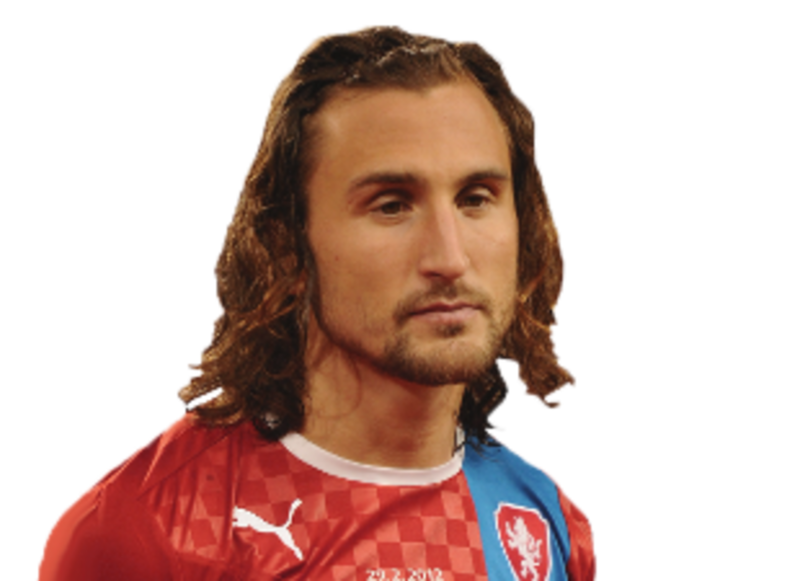 Petr Jiracek I watch Serie A, La Liga, EPL, a lot so I know Pirlo, Balotelli, Ibra, Xabi Alonso, . But, Jiracek needs a bigger contract he was excellent among the players I didn't know. For coaches Prandelli for Italy was the best. Italy changed the best, except in the last game, but against all others got it right with the most balanced team. Spain won, spain got through, but Spain is not a balanced side. the 46 is successful but it demands Spain always have the right quality of midfielders. If they ever don't Spain is in trouble. Italy was the only team that played possession, defense and offensive. Spain always plays possession, they don't play defensive or offensive. they play possession and the back 4 attack any ball over the midfield. they play possession and the midfielders make the jump to forward. Great list of players! Its easy to forget about some of them if they didn't make it very far. I did really like Ibrahimovich's performance. I thought he played very well. voted up and shared on twitter! keep up the good work! Great hub, looks really nice, nice to see you've not overlooked the players from 'lesser' nations.